Hello! Welcome to McPhillips Toyota’s McFeature of the Week, a new weekly blog dedicated to bringing you information on anything and everything new from Toyota. 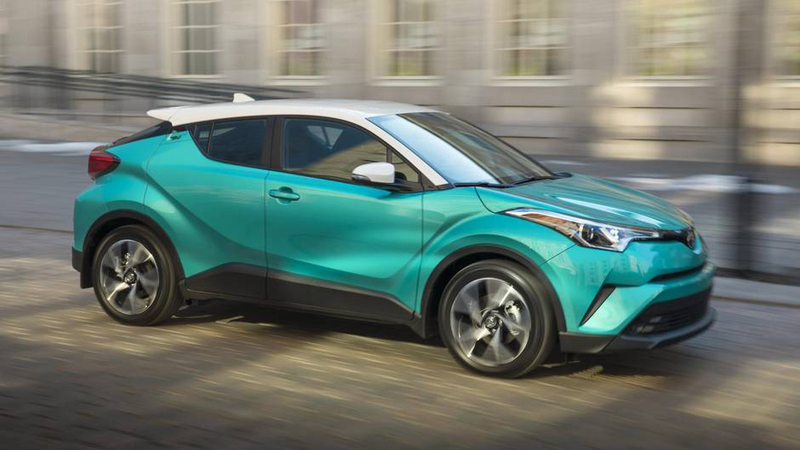 For our first feature, we will be looking at Toyota’s newest creation, the stunning C-HR! We will talk about it’s beginning, key features and everything in between. Let’s get started! C-HR stands for Coupe High-Rider. The cross-over is slightly lower than a RAV4, but still taller than a Corolla, creating a sporty, passenger friendly driving experience. The design of the C-HR features a diamond theme throughout the vehicle, from the sculpted taillights to the headlamps and the available choice of two-tone colours on the exterior (view picture below). Available starting at $24,690 (before taxes & fees), the C-HR boasts a friendly price for anyone looking for more size than a sedan, without paying the price of a full sized SUV (typically priced at $30,000+). While it’s only available in FWD for now, the 2.0L four cylinder CVT pumps out 144hp, delivering power without sacrificing fuel economy. Check out our video review below on the 2018 C-HR below. Make sure to check back next week, where we will continue to feature the latest from Toyota!